Condition : Oil stained finger. o.a. very good! 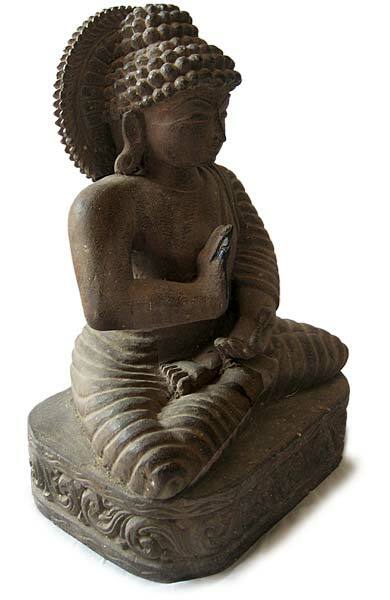 This exquisite 19th century wood Vairocana Buddha is rendered in the Gandhara style. 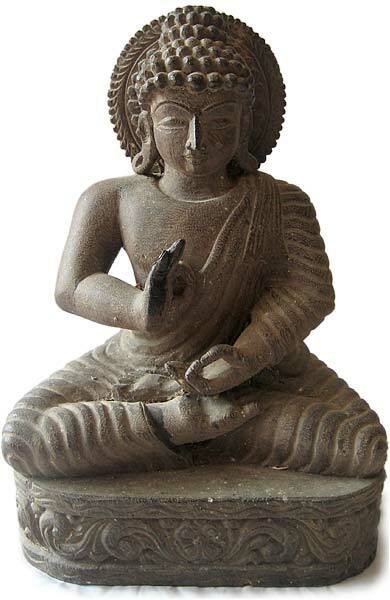 The Kingdom of Gandhara lasted from the 6th century BCE to the 11th century. 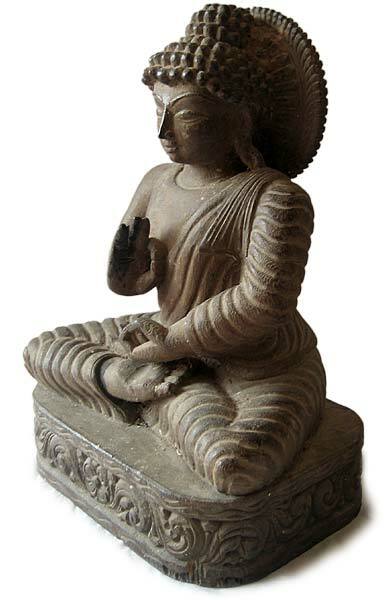 It attained its height from the 1st century to the 5th century under Buddhist Kushan Kings. 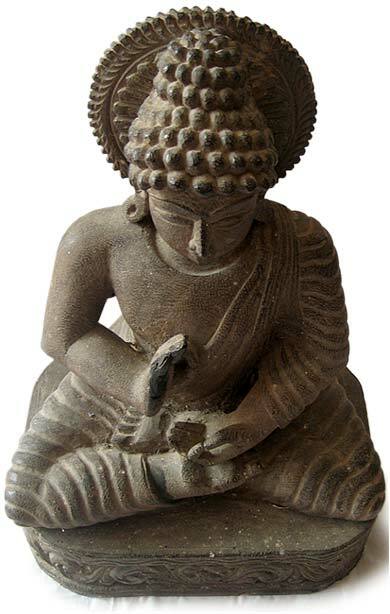 It is here that the first artistic depictions of the Buddha in human form were found. The kingdom was located in what is now northern Pakistan and eastern Afghanistan. 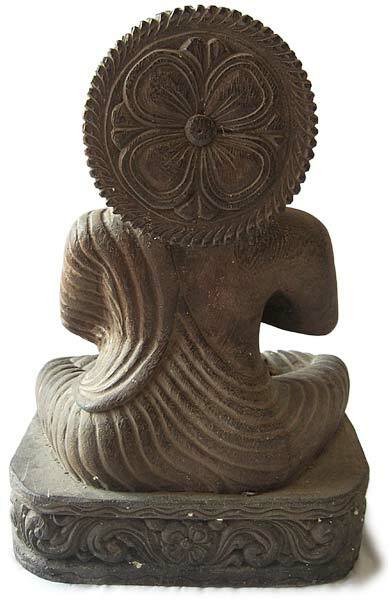 Many of the Ghandara pieces, such as this one reflect the stylistic fusion of the deep contact with the Greeks civilization in the rendering and posture of the human form.